Having a home inspection is the vital in-depth analysis that will determine your house’s current condition and state. 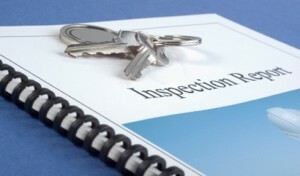 Usually houses in the Los Angeles area have inspections done when you sell your house. Investing into and buying a house will be one of the biggest purchases a person can make. Its always best to have a qualified and licensed home inspector check and inspect your house from the basement to the attic to make sure it’s safe and structurally sound. From termite inspections to checking your home for past and present mold inspecting your house and getting a detailed report will give you the important insight needed to determine the current condition of your property. The last thing you want to happen is to purchase your dream home and then find out your house is in need of costly repairs. This can take your home purchase from a dream to a nightmare. A professional home inspector will help new homeowners see clearly the condition of their property investment before buying. From the outside your new residence may seem good to go and ready to move into. With that being said a inspection will go overthings life the house structure, foundation, electrical system, plumbing, heating and even the state of the roof. By hiring an expert home inspector from Accurate to thoroughly inspect your property you’ll protect your investment and help reduce any wasteful spending on unforeseen repairs in the future. Based in the Pasadena and nearby Glendale areas and servicing all of Los Angeles and Orange county we’ve been inspecting residential and commercial buildings for decades. From experience we know choosing the proper inspection comes down to the question if you need a residential or commercial inspection? Residential inspections will highlight any repairs needed to be done while a commercial inspection will report on any structural and overall building issues with plumbing, electricity, heating and foundation. After the inspection on your home is final you will receive a report detailing what is needed to improve the conditions of the home. The best thing to remember is an inspection is like an insurance policy that will notify you of future fixes that could be quite expensive If you decide on buying the house. Having this information available can even help get you a better price on the house you are looking to buy.